Learn from accomplished speakers and educators. Participate in and benefit from informal focus group input. Get advice on how to locate and take advantage of local resources available to you. 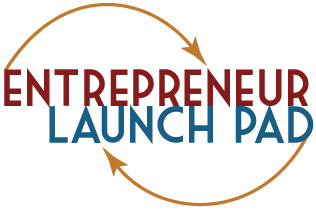 Entrepreneur Launch Pad is a non-profit group. Economic growth of our members is our goal. Entrepreneur Launch Pad began in 2008 with a professional networking group in Centerville, UT. The group’s objective is to provide a “hands on” approach to helping each other build successful businesses. Entrepreneur Launch Pad (ELP) now provides a forum in three locations in Northern Utah. ELP is a non-profit business, providing no cost services to budding, early-stage, and mid-level entrepreneurs. ELP is for you if you have a business idea, are considering creating your own job, need to scale an existing business, desire to help with an existing business, have resources for other entrepreneurs, or are just interested in entrepreneurship in general. Most ELP locations meet on a weekly basis but be sure to subscribe to the ELP Newsletter for updated information. At our weekly meetings, participants collaborate on business ideas, give instructive feedback on business presentations, listen to and discuss business topics, and make important networking contacts to help them grow their business. Our weekly meetings are built around helping each other build successful startups. Attend meetings to inspire, enable, and support aspiring entrepreneurs and existing business owners to create, operate and grow sustainable, profitable, and successful small businesses. If you have a business idea that needs vetting, want help with an existing business, are considering creating your own job, have resources for other entrepreneurs, or are just interested in entrepreneurship. In the meetings will be mentors who you may ask questions and give you great insights. Entrepreneur Launch Pad strives to advance both the science and practice of entrepreneurship so as to stimulate positive economic growth and development through new company formation, technology, and improved competitive performance of entrepreneurial ventures. Improved knowledge and experience of entrepreneurs and college students interested in entrepreneurship. ELP’s objective is to help all entrepreneurs, of every level, and encourage exchange of helpful resources between entrepreneurs, educational institutions, business, and government agencies that support similar programs that provide benefits to entrepreneurs. ELP invites service providers to join us at our meetings to share, without remuneration, their expertise in helping to assist entrepreneurs during our business building sessions. Service providers are encouraged to be at the meetings early as well as remain after for networking opportunities. Meeting times are set aside specifically for the entrepreneurs who are building their businesses. Making entrepreneurs aware of free and low cost support for working through startup and 1st year business issues. Entrepreneur Launch Pad is a non-profit group. For that reason, your support is greatly appreciated. Please click the button below to make a donation of any amount. You will be directed to a secure payment site powered by PayPal where you can donate using a credit/debit card or your PayPal account. For more information on donations, please contact Jennifer Brown, ELP Utah Treasurer, at jbrown@elpnow.org.